Static, Dynamic, and Inter-active Ranges | C. Vargas & Associates, LTD.
Over the last 15 years, the cost of shooting range construction has escalated beyond the reach of most municipalities and state organizations, which have to build ranges. The main reason for the cost escalation is that more stringent design criteria is being applied unnecessarily, to range designs, across the country. Range officers and law enforcement trainers recognize that the buzzwords for training today’s shooters are Static, Dynamic and Inter-Active shooting. We should therefore recognize, in the design, how the ranges are going to be utilized and rely on the appropriate operational rules that the range is going to be used properly, such that the basis of the particular range design is not an over resign. There are actually 3 levels of safe and economical range design, each progressively more expensive that can be produced. Each safe and cost effective for the type of shooting that is going to be performed within, and without sacrificing safety or environmental stewardship. Therefore, developing definitions for the 3 types of ranges is paramount and will be very helpful to crystallize to the various range designs, the advantages and limits of each design. 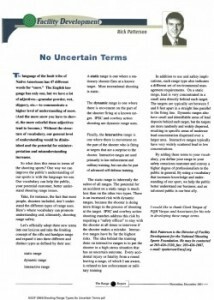 Static ranges are the known distance (KD) ranges of traditional design. These are still used in the military and law enforcement for basic courses, for Hunter Education Training and for USA Shooting competition. These ranges are normally used to teach firearms familiarization to the novice marksmanship and most extensively for disciplined competitive position shooting. The basic design characteristics of a static range are a fixed target line and a fixed firing line or lines at known distances, all the way to 1,000 yards! Each shooter is provided a numbered firing position, a lane, 4 to 10 feet wide by 7 feet tall. The courses of fire are characterized by slow aimed fire (even in the rapid fire stages). A trainee, or competitor is expected to keep all his rounds within a two-foot square target area and indeed, most can after very preliminary instruction. No crossfire from lane to lane is allowed and the position shooting rules, for the particular disciplines control of the courses of fire. The essential design element to position range is the backstop, even if the range has the extensive proper area for the down-range shooting fan, since it is now required to contain and recycle the lead bullets. Additional features may be designed are side berms, firing line covers, turning targets line and overhead ground baffles for bullet containment. Even though the range is termed static, silhouettes and turning targets within each line are allowable. Operational rules are essential to a Static range. One is the establishing of the firing line. The firing line is not only the line, which establishes the distance to the target line, but also from safety standpoint, defines the up-range safety area and the down-range danger area. The operational rules control the up-range zone. The range-master or the shooters on the shooting line control the down range danger zone area. All targets are established placed parallel to the firing line and the shooting lanes are 4’, 6’, 10’, and 12’ segments of the shooting line, 4’ to 5’ firing position are adequate for pistol shooting, and 6’ to 12’ wide positions for rifle. Ground and overhead baffles when required in Static ranges are minimal cost for these position type ranges, in that only the firing line angles needs to be contained for the shooting positions that will be utilized at the particular range (i.e. standing, sitting and prone). A Static range coupled with strict operational rules are very safe ranges, which can be constructed most economically.  Dynamic ranges are the outgrowth of military advanced marksmanship training. The military John Wayne type pop-up target ranges and the law enforcement Hogans Alleys are examples of such. More recent law enforcement training methods with moving targets & tactical shooting courses have created problems for ranges. Dynamic shooting discipline of IPSC, USPSA, NRA, Action Pistol, IDPA and most recently SASS action shooting have elevated this style shooting to an art form. Dynamic shooting requires we take look at these ranges differently from static ranges, with respect to their design. Law enforcement has deemed it necessary to and has gotten away from the traditional P.P.C. training (which I don’t agree with) because of the 50-yard shooting, and has been using the standard PPC static ranges at 25-yards and closer in to teach dynamic courses of fire with moving targets (i.e. running man, charging man and cross shooting across 5 to 6 shooting lanes). As long as the training occurs at the center of the existing PPC range, no problems occur. As long as the running man and charging man are kept low, so no bullets escape. No problem. But once these parameters are exceeded, bullets got out of the ranges, resulting in numerous law enforcement ranges being closed across the country. The opposite has been the experience with the civilian discipline Dynamic shooting range activities such as IPSC, USPSA, SASS, IDPA, NRA, action shooting, etc. because of their operational rules, these shooting disciplines are very safe.  When watching if master shooters in any of these disciplines dynamic shooting appears as a choreographed ballet that is over in the blink of an eye. Dynamic shooting ranges then are characterized as having moving targets lines, moving targets and moving shooting positions. Steel targets are extensively used which raise other design considerations of minimal distances to the steel and height of berms and ricochet angles. Operational range rules are paramount currently; these are stringent and are ingrained in the shooter. This happens because one shooter shoots at a time with one NRA, USPSA or SASS range officer along side to watch every movement. It results in a very safe sport. The only place a loaded firearm is allowed on Dynamic ranges is at the “stage start” where the range officer commands the shooter to “load and make ready”. Until the stage end when the shooter is commanded by the CRO to unload and show clear. Just as in Static ranges firing lines, are as operational control lines established. The stage 180-degree line (firing line) is the control line. This 180-degree line is parallel to the stage backstop and in essence establishes the up-range and down-range stage condition, identical function as the static range. A shooter may not break a 170-degree arch at any time, within any stage. If he appears that he is going to break it. Then the range officer is taught to guide the elbow so the shooter can’t do it. Action shooting stages (dynamic shooting) each have a backstop and two side berms and are usually 75’ deep x 50’ wide, interior dimensions. Shooting takes place close to the backstop and steel is shot at a 12-yard distance. Because of the close supervision and operational controls, these ranges are normally not baffled. If this type range has to be baffled, the trellis baffle design normally works best and is most economical. The dynamic shooting disciplines each have such stringent safety rules and rules of the game that a round very seldom will go over a backstop. The epitome of design of dynamic shooting ranges is the law enforcement Hogan’s Alley ranges, developed by the FBI and of inspector Callahan movie fame and the permanent USPSA and SASS shooting stages. Inter-active ranges became necessary to train FBI, HRT operators and to a lesser extent, SWAT units. Swat ranges started on the West Coast with Chief Gates and now each police department or sheriff’s office want one. Traditional and the most effective training is conducted in the “shoot house” with live ammo, in which you can shoot 360-degrees horizontally and vertically, if it’s a multi-story “shoot house”. The Inter-Active type ranges present the most design challenges. It must have a minimum of 4 walls to shoot within and sometimes a solid roof in addition for vertical shooting. Now, ricochet bullet-proof walls must be designed or as an option, frangible ammunition with a full recycle system can be provided instead. These ranges, in some instances, must be enclosed as in bullet proof, concrete cubes. A requirement that by extrapolation should not be made applicable to Static and Dynamic ranges. Other inter-active, moving style courses, using laser on a movie screen can be used to teach shoot, no shoot scenarios. Likewise, simunition and paint ball can be used to teach defensive and assault scenarios. These are really not shooting ranges since they don’t use live ammunition. If the designer can be told specifically what range type he needs to design for, he can do it in conjunction with the operational and specific range rules and result in the most economical range design, for the particular site chosen. More specifically the Static Hunter Education/Competition ranges that are so sorely needed around the country can be designed very economically. Dynamic range usage is in great demand around the country. Police departments and sheriffs offices right now cannot build and upgrade them fast enough to train and re-train police officers. These shooting ranges can be constructed safely and cost effectively, also if dynamic shooting ranges standing are not applied to them.